Online exam software with best in class features to conduct tests easily for assessments and candidate selection process giving effective analytical reports. In This Software You Can View Study Material and Study Video For Your Exam preparation.So It’s Easy To preparation For Exam. 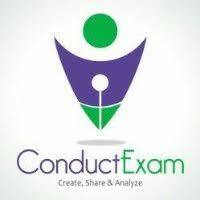 Conduct Exam is an online exam software which provides a robust platform for online examination.Conduct Exam offers an integrated package of software applications for online examinations, offline examinations, Computer based examinations, Centre based examinations and many more.